What is a roof valley and do all houses have them? Only houses built on an”L” or “T.” shaped plan have roof valleys. Where the pitched roof on one leg of the “L” or “T” meets that of the other leg, a “V” shaped valley is formed. That’s the roof valley. 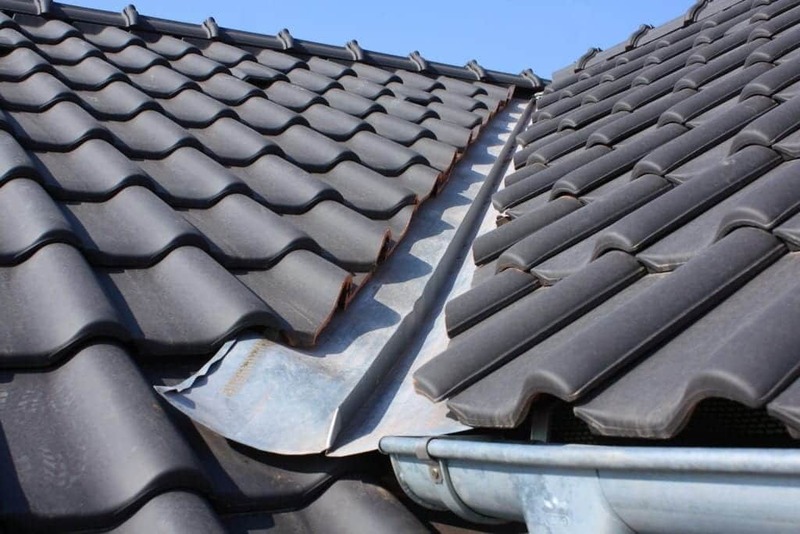 A “V” shaped piece of metal, usually lead, called “Flashing.”, runs along the length of the valley with its edges covered by the roof tiles or slates to form the joint. Why does it start to leak? Lead is soft so it is very easy to drive nails through lead flashing and maybe a nail was driven through in the wrong place when the house was built. Years later if, the nail becomes loose due to corrosion or damage, enough space is created for water to pass through into the roof space. It won’t cure itself so what can you do to fix it? Well, the obvious answer is to call in a roofing contractor, but if you have some d.i.y. skills you could tackle it yourself, but for goodness sake be careful! No specialist tools are called for, just a screwdriver, a hammer and a caulking gun. You’ll need a roll of lead flashing a cartridge or two of builder’s mastic and some roofing nails. 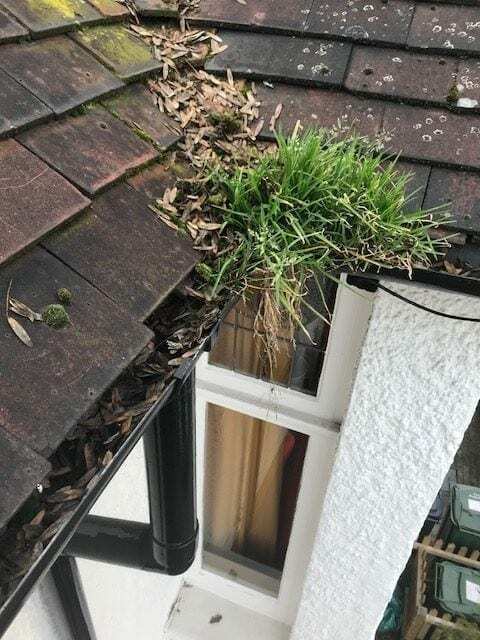 Before you go out and buy these, you might want to check that your life insurance will cover you when working on the roof! Seriously, you will be working at a height sufficient for a fall to be fatal! Even falling from the roof of a bungalow is likely to cause serious injury so you will need proper access equipment for getting up onto the roof and working up there safely. You’ll need to hire that. The first task up there is to locate the leak. It probably won’t be directly above where the drip appears indoors. Water often tracks along structural parts before finding an opening on the inside. 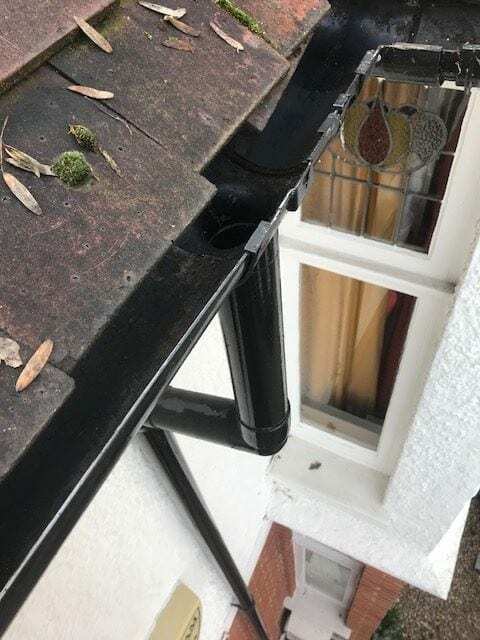 Having found it, you’ll need to temporarily remove sufficient tiles either side of the valley to gain access to the metal flashing. Measure and cut your new flashing, lead is toxic and lead poisoning is very serious, so handling and cutting it calls for protective gloves and a face mask. Apply a layer of mastic to the original material and then lay your new flashing on top of it. Secure the top and bottom using screws taking great care to ensure that the screws only go into solid timber and don’t go right through. Leave the mastic to set for as long as necessary. Apply more of the same mastic on top of the flashing. Then carefully replace the tiles. If nails are required use new ones, pushing them through very carefully so that you don’t damage the new flashing. A layer of roofing tar applied over the valley adds further protection. The tar will dry naturally and the job is done. Doing it yourself successfully is very satisfying but, by the time you’ve bought the materials and hired the access equipment, you probably won’t have saved very much against what your friendly local roofer would have charged!